Siatista, town of the Kozani Region, 28 km southeast of its capital city, was built on the austral slope of the Velia mountain and on an (average) height of 950 m.
The road access is easy. 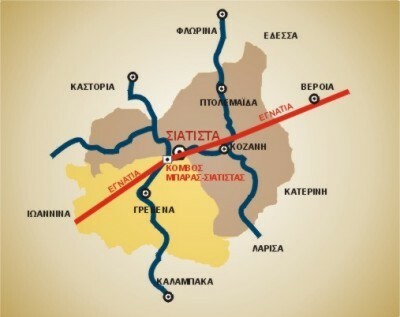 In the Egnatia road from Kozani to Ioannina, the second interchange that we meet is the "Bara-Siatista" interchange. From there with a five kilometres short cut, the voyager comes to Siatista.